As children, we are often taught to avoid contact with wild animals that can potentially carry deadly diseases that can be transferred to humans or other animals, such as rabies. Once someone has been bit by an animal infected with rabies, it doesn't take long for the disease to spread into the central nervous system, where it becomes fatal. There has always been only a small time frame where treatment for rabies can be sought. 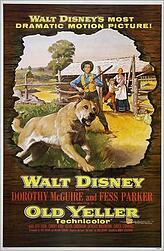 The real threat of rabies have been shown in popular culture in movies such as "Old Yeller" and "Cujo. "(Image courtesy of Wikimedia). Recently, however, researchers at the University of Georgia, Athens successfully tested a vaccine that cures rabies after the disease has spread throughout the body and infected the brain. The Athens researchers tested a new vaccine on mice that was able to cure them of the rabies virus later than previous treatments could, when the central nervous system has become infected. Biao He, PhD, a professor of infectious diseases at UGA explained that "basically, the best way to deal with rabies right now is simple: Don't get rabies. Our team has developed a new vaccine that rescues mice much longer after infection than what was traditionally thought possible." The vaccine UGA researchers used involved combining a protein from the rabies virus with the protein parainfluenza virus 5 (PIV5). The researchers tested the new vaccine on mice infected with a rabies virus that takes 3 days to infect the brain. Previous treatments for rabies would need to be given before the 3 days are over and before the disease has spread too far. After 6 days, when it was clear that the rabies virus was reaching a fatal point in the mice, however, the vaccine was able to cure 50% of the infected mice who otherwise would have died. Although further research and testing is needed to perfect this treatment method and make it ready for more trials, the results already shown in the mice is promising. "While these preliminary results are very exciting, we are confident that we can combine this new vaccine with other therapies to boost survival rates even higher and rescue animals even when symptoms are severe," said Dr. He. 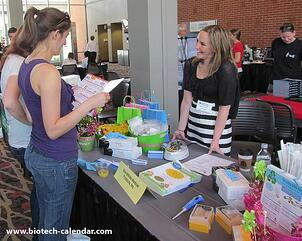 Researchers at UGA discover new research supplies that will benefit their lab work at the 2014 BioResearch Product Faire™ Event. A partnership between Emory University and the University of Georgia that plays a key role in the nation's influenza research and surveillance programs has received a $3.6 million contract, with potential funding up to a total of $26.7 million available over seven years, from the National Institute of Allergy and Infectious Diseases. University of Georgia cancer researchers still have 2 years of funding remaining from two five-year grants totaling $4.1 million. With the funding they have been exploring new methods of detecting ovarian and pancreatic cancers, using the most advanced technologies available. 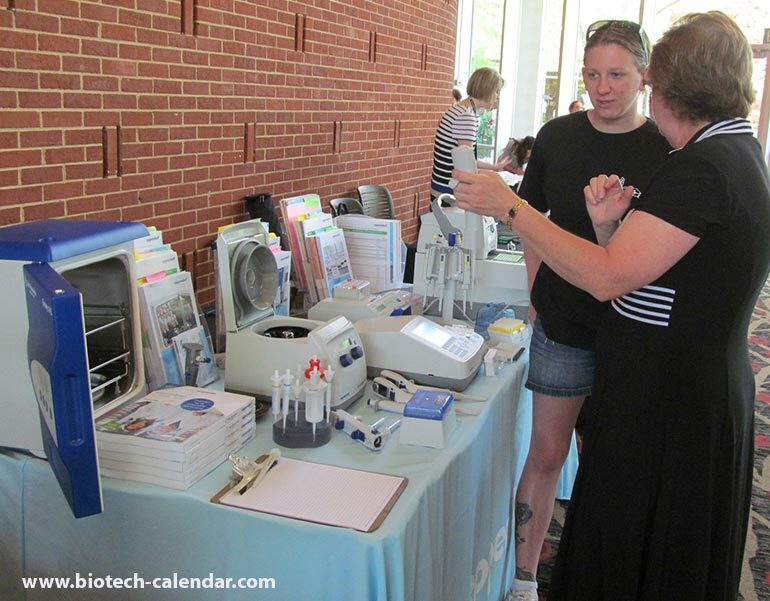 Biotechnology Calendar, Inc. produces an annual BioResearch Product Faire™ event in Athens that brings more than 150 life science researchers together with lab suppliers interested in learning about new products and technologies that are available for them to use in their labs.